Happy Friday all! How has your week been? I thought I’d post a little update on the greetings cards I’ve been working on this week, available in my NOTHS and Etsy shops. I’ve designed two brand new cards, featuring my favourite colours. If you can’t get creative with your favourite colours when you’re busy designing, then when can you? I’ve decided to run a trial on personalised cards to see how much my lovely customers like them. After offering non personalised greetings cards before, with some success (but admittedly not as much as I’d hoped) I am feeling positive about these ones! What do you think? 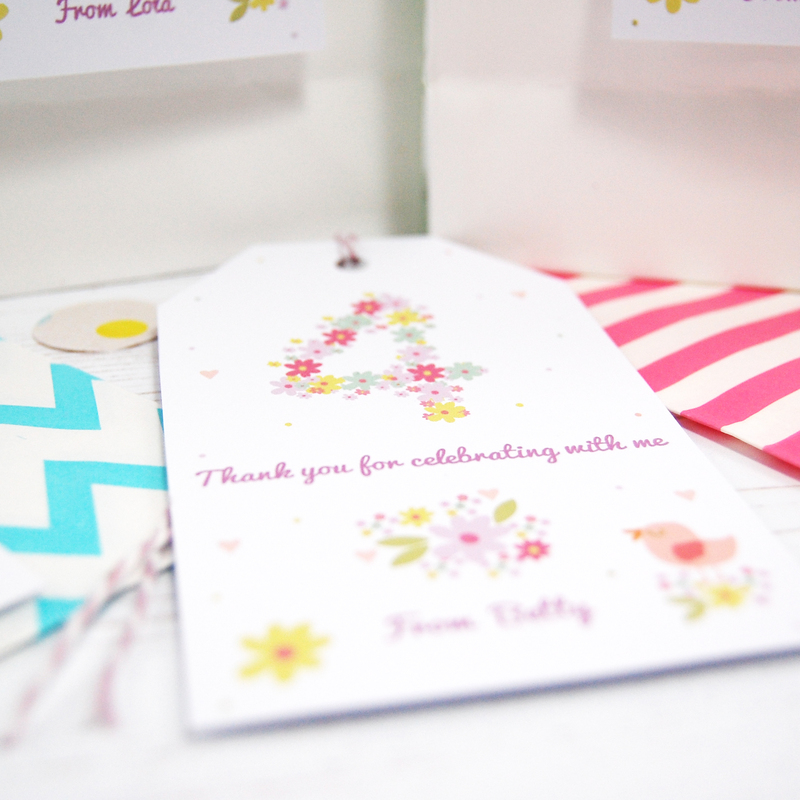 I love the idea that personalised cards can potentially be treasured as keepsakes for some time. I always feel special when I’m given a lovely card, as I really appreciate the time that lovely person has spent choosing and sending it, particularly when social media and email is so prevalent now! 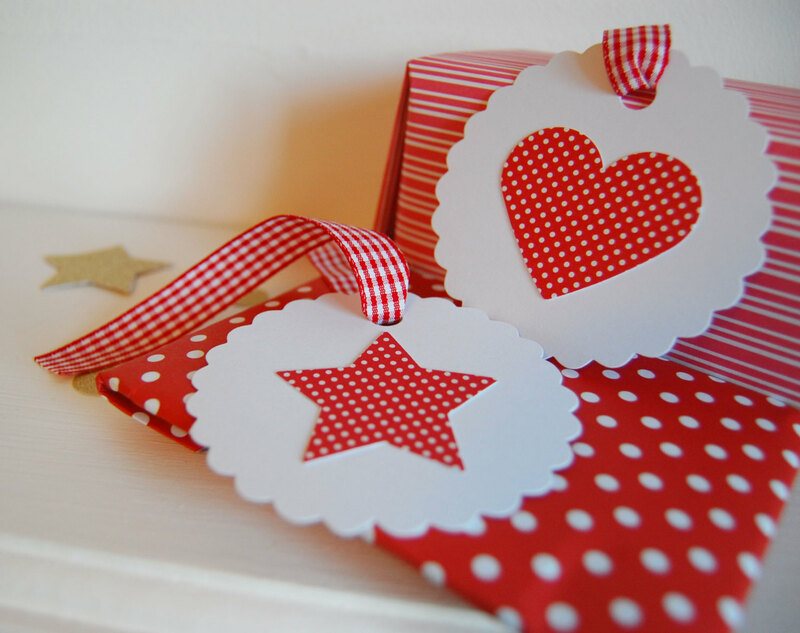 Imagine how special the recipient would feel to know they have had a card designed especially for them? 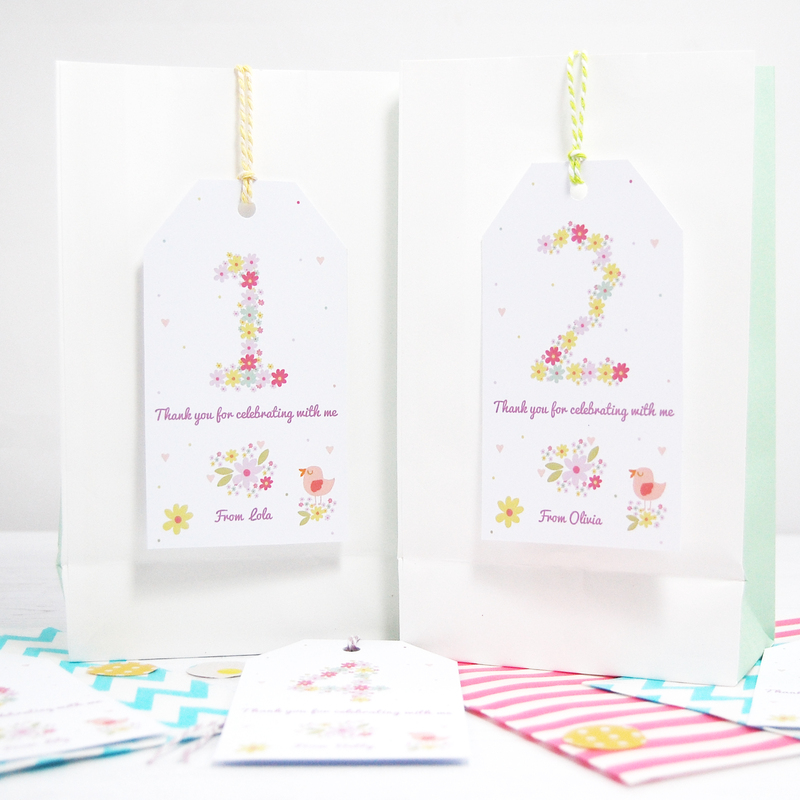 I figured Personalised ‘Bridesmaid Thank you Cards’ and personalised ‘Happy Birthday Cards’ were a good place to start, but I hope to roll more designs out very soon. In the mean time, I hope you have a lovely weekend wherever you are in the world. Thank you so much for reading and I hope I’ve inspired you! Today is a very special day, as I’ve been featured in the current issue of Homemaker Magazine as their Reader Maker. Issue 40 is out for sale today and is absolutely wonderful. Friday has surely got to be the most perfect day for any magazine of this kind to come out, right? 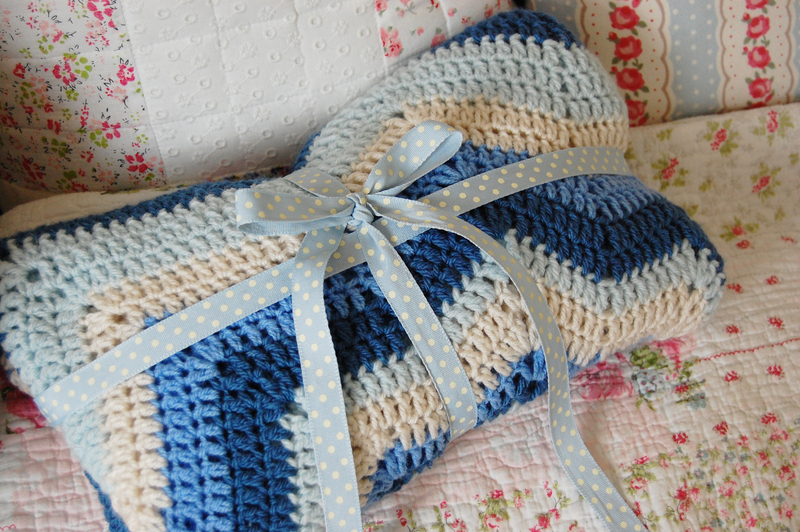 An entire weekend ahead dedicated to stitching, knitting, crochet and patchwork? Yes please! Reading the article this morning really got me thinking about how much I’ve achieved with Paper Doily since setting it up in 2014. It’s easy to get caught up in day to day living without taking the time to look back and appreciate the milestones you’ve made along the way. I’ve received a lot questions lately about what advice I have for crafters starting out on a similar business path. I feel the above article really sums a lot of these questions up, whilst hopefully inspiring others, giving them the confidence they need to get going. Having faith in yourself and your work throughout the good times and the bad times is a fundamental quality in staying on the path to success. There will be absolutely wonderful times ahead where you feel you are on top of the world, followed by the times where life/day to day tasks just get on top of you completely. Keeping your faith, continuing to put in the hard work required and staying motivated are important qualities, and ones which will see you through well! I thought it would be very helpful to share my top 10 tips for starting your own craft business with you, derived from my experience since starting out almost two years ago. Write a business plan and ask yourself what it is about your product/s that potential customers will want. 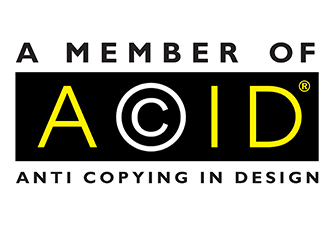 Do you feel your products will be desirable? Who are your customers and where will you find them? Establish who your competitors are and ask yourself what your business can offer differently. Originality will set you apart from the rest. Have a marketing/advertising strategy. You can offer the most amazing products but without making a name for yourself and making others aware of your products, your business just won’t be sustainable long term. Spend a reasonable amount of time on pricing your products, it should not be an after thought. Find out what your customers are willing to pay and what other business costs to factor into your pricing model. Ensure you are not operating at a loss and avoid a ‘race to the bottom’ by lowering prices if you are struggling to sell. Instead, assess whether you are reaching the right target market and make adjustments to the product if you feel it is necessary. Identify your suppliers and try to make a good/long lasting relationship with them. What is your key asset? What is it about your business that will help you win potential customers? Stay motivated. There will be times when life just gets in the way of business (as explained above). Have some coping strategies in place. I live in the countryside and tend to take myself off on a long stroll. I’m also a serial list maker, so I tend to break down difficult tasks into small pieces if the task at hand seems too much. Have fun! Remind yourself why you started your business in the first place and constantly come back to this at moments of struggle. It will keep you motivated and will help you to stay grounded! I really hope you enjoyed reading. If you have any more questions or comments then please let me know, I’d love to hear from you. 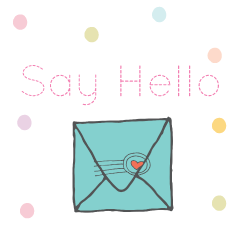 Have a lovely weekend and thank you so much for visiting my blog! 1. 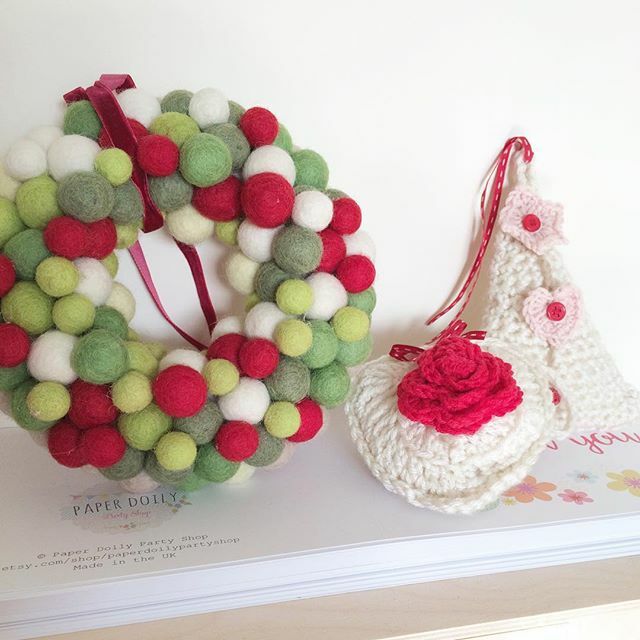 Christmas preparations are in full swing here and what better way to use up leftover felt balls? I went through a foam wreath buying stage several months ago, with plans of making lots of new ones for my shop. I have so many creative ideas running through my head on a daily basis, it’s easy to forget good intentions like this! I recently had a bit of a clear out of my craft space and suddenly remembered what they were for. I’ve made two so far, one Christmas themed one and a pink and purple one. I’m amazed at just how much they transform a space! The crochet christmas decorations were inspired by this months Simply Crochet Magazine (issue 38). 2. You know how I mentioned above that Christmas preparations are in full swing here? It wouldn’t be Christmas without some festive cake toppers, right? These ones certainly made me smile and undoubtedly add a lot of cheer to your standard Christmas cake. 3. 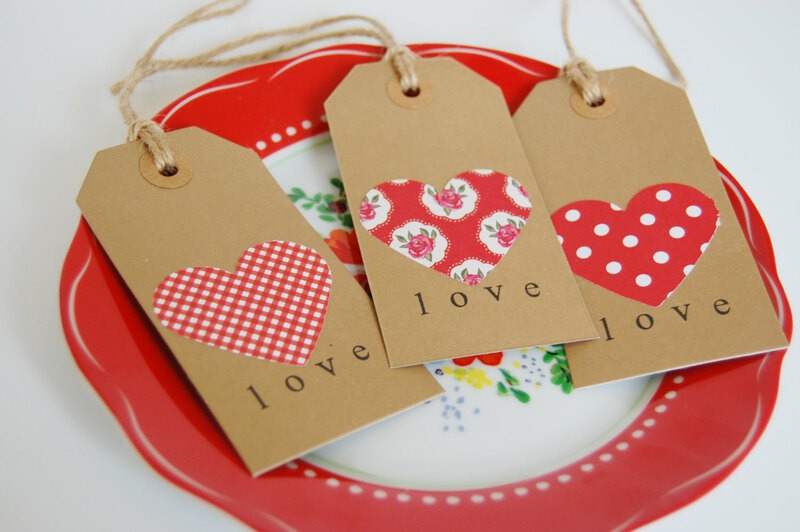 I recently purchased a set of ‘love’ stamps and some new ink with the intention of making these. They are bound to look gorgeous on Christmas presents and were so easy to make. I bought some blank gift tags and added my own twine for a rustic look. I then used my trusty heart shaped paper cutter to cut out the patterned papers. Once the hearts were in place, I got creative with the hand stamping and voila! If you’re anything like me and are planning on making a lot of homemade gifts this Christmas (including chutney and jam, which are favourite options of mine) these are the perfect labels! 4. 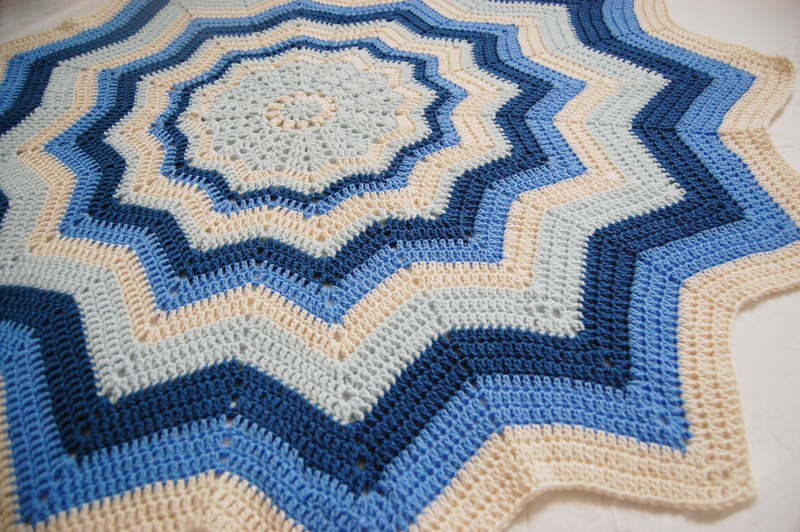 As you may already know, crochet is a huge hobby of mine and definitely takes up a large proportion of my spare time. I couldn’t resist making a festive garland in kitsch Christmas colours. The piece of driftwood used as a photographic prop to drape the garland on, travelled all the way from Sandymouth Beach on a recent weekend away. How special is that? 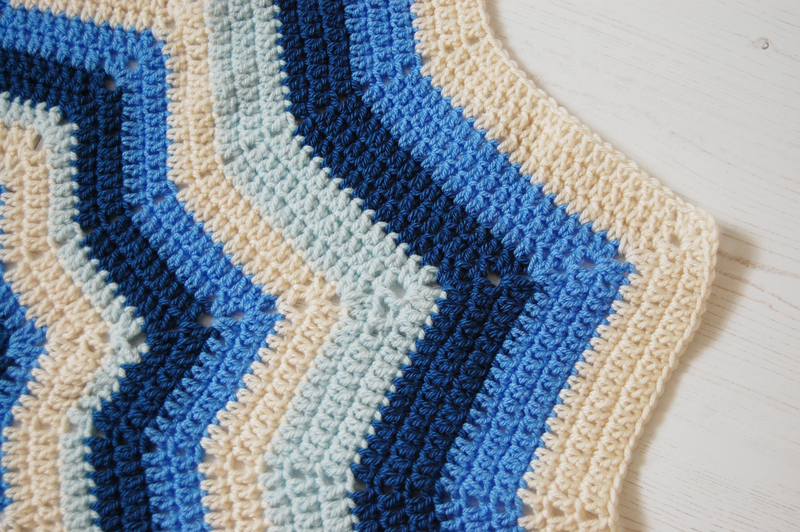 If you’re feeling inspired, head on over to Cherry Heart blog for the ‘twinkler stars’ pattern. I can thoroughly recommend it. 5. 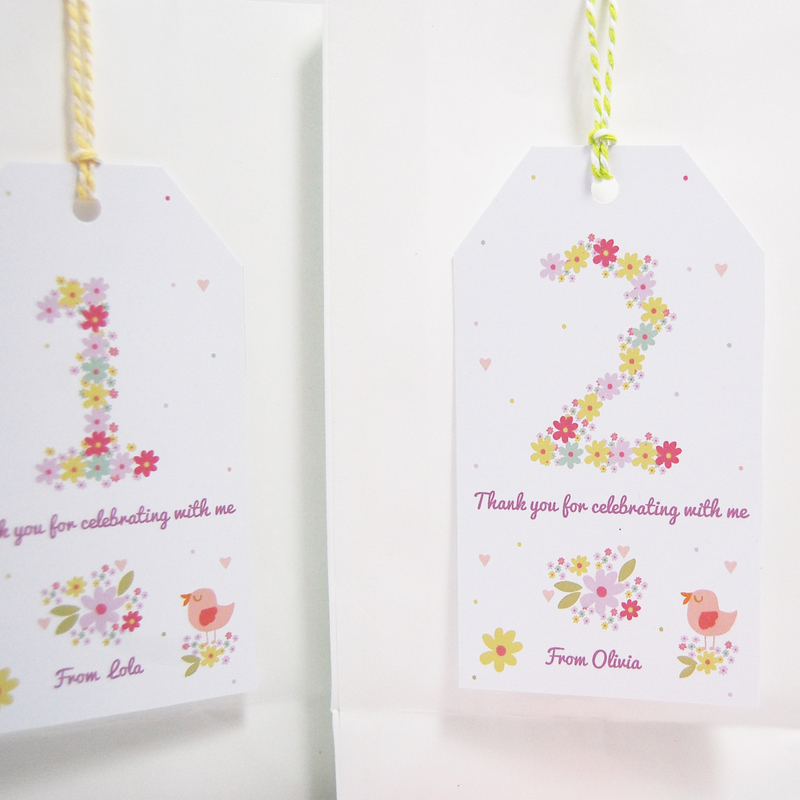 I couldn’t just stop at one set of gift tags, they were far too addictive and enjoyable to make. After sorting through my huge stash of Christmas papers, I came across these. 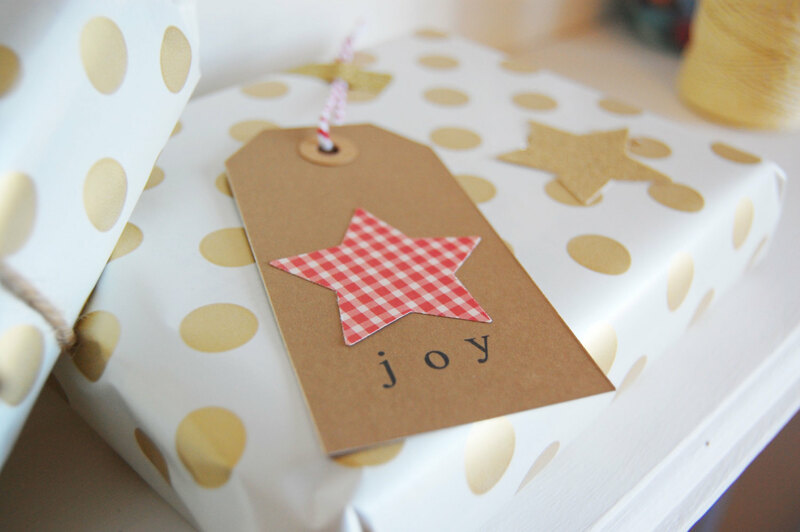 If you’re looking to make your own gift tags, then you must invest in a star paper cutter (and some pretty twine, as there’s always space for twine, right?) 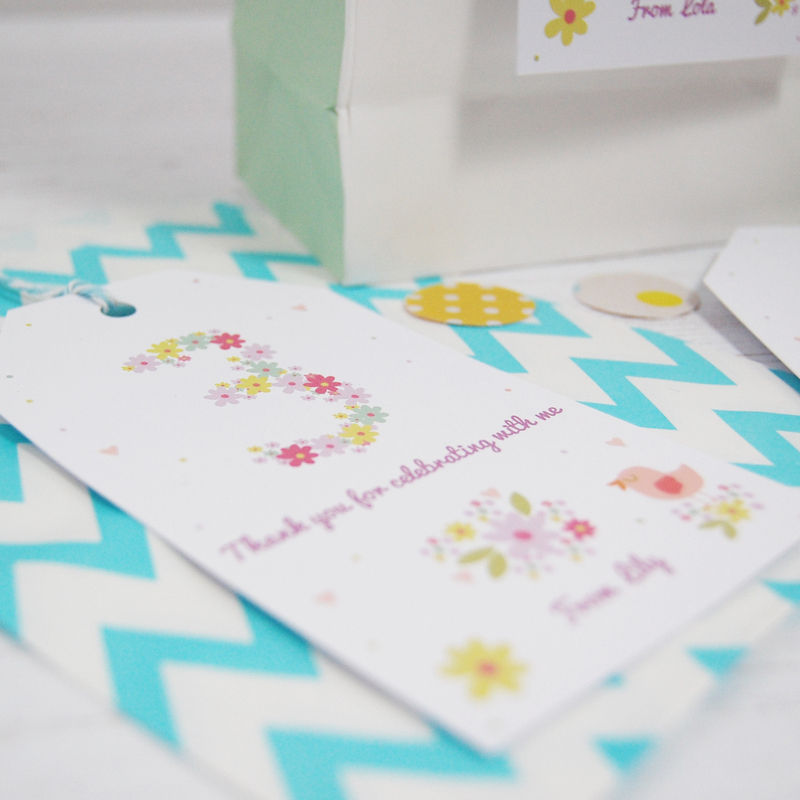 The beauty of handmade gift tags is that they can be made to suit your gift wrapping theme perfectly! They also look wonderful sitting under the tree and have a unique touch of handmade. 6. 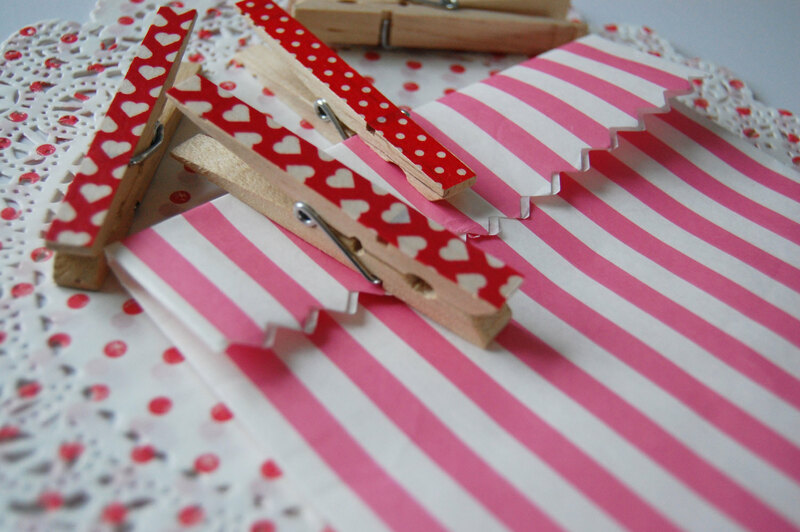 I went through a phase of making lots of washi tape pegs several months ago and found them so addictive (like most crafts). I still have a HUGE washi tape supply and seem to have accumulated a large amount of these pegs. 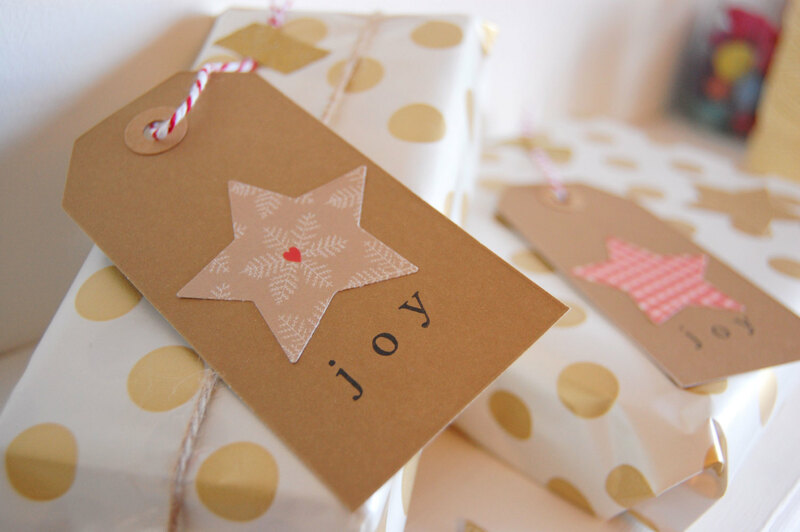 Gift wrapping has never looked so lovely. They seem to make everything look that extra bit special. They are particularly useful for Christmas parties, especially if you’re having a sweet festive buffet and would like your guests to take home some home baked sweets and treats. 7. You must be noticing a theme with the gift tags? I just love them (in all colours, shapes and sizes). 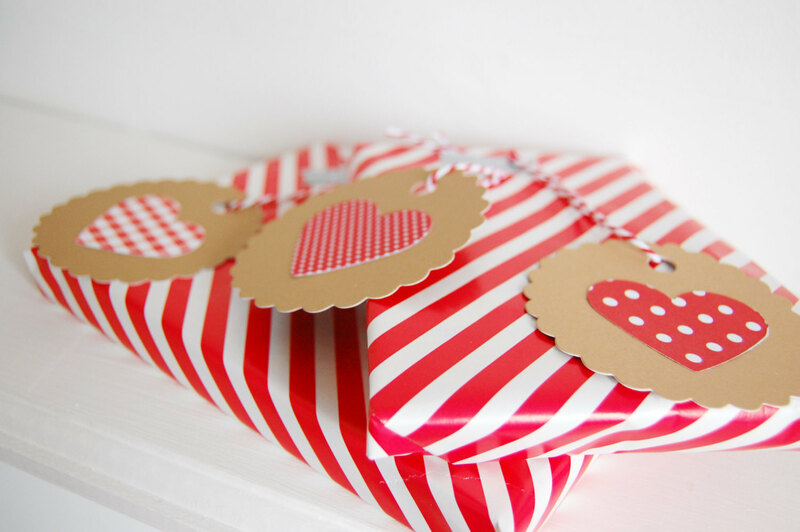 These scalloped gift tags have a particularly crafty feel to them and I can definitely see my presents looking extra fabulous when it’s Christmas time next month! I like to use matching ribbon or twine to give them that extra special touch. Make sure you have your best fountain pen ready for writing on the reverse side! 8. Christmas is all about that extra bit of sparkle isn’t it? 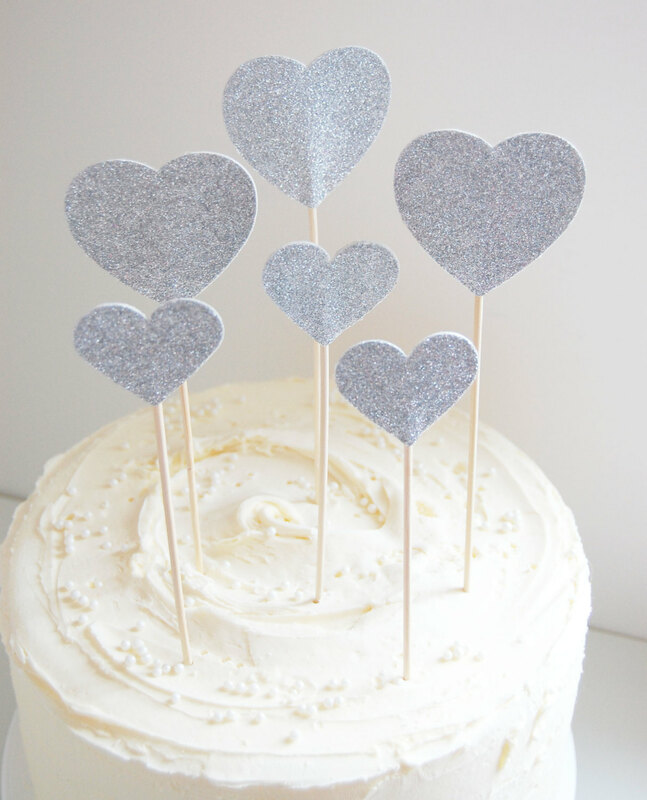 These glittery heart cake toppers are a favourite of mine, particularly if you’re looking to make a non traditional set of cake toppers for your Christmas cake. I used my heart paper cutter to cut out the shapes (2 hearts of the same size, per cake topper). I then used some double sided selotape on the reverse side of half of the hearts, which held the bamboo skewers in place nicely. 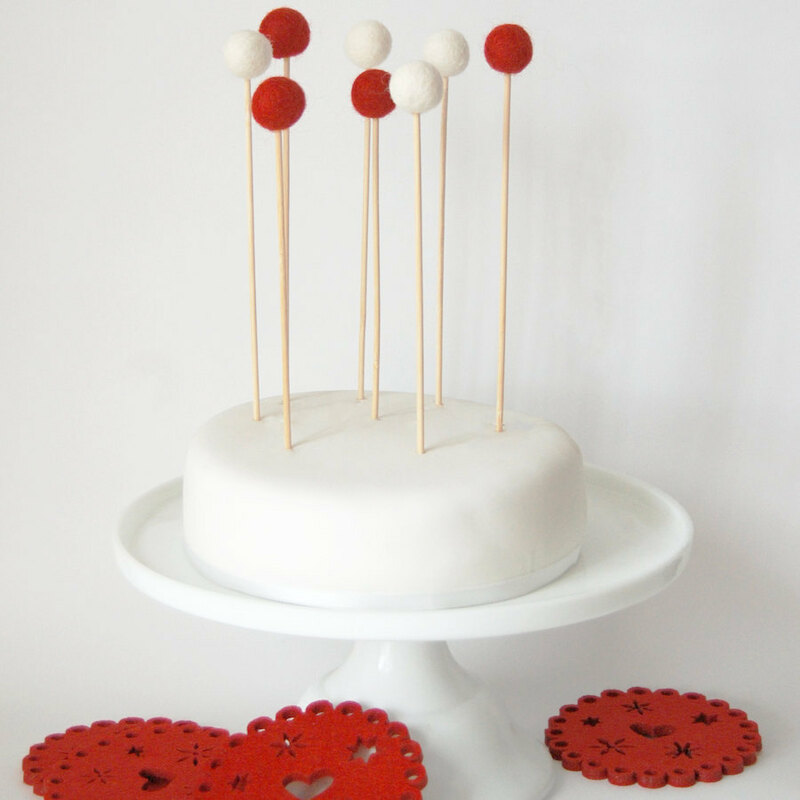 To finish off, I took all of the remaining hearts and placed them on top of the skewers, (with the sparkly side facing me) and pressed down to stick in place. This was the end result, of which I’m rather pleased with! 9. 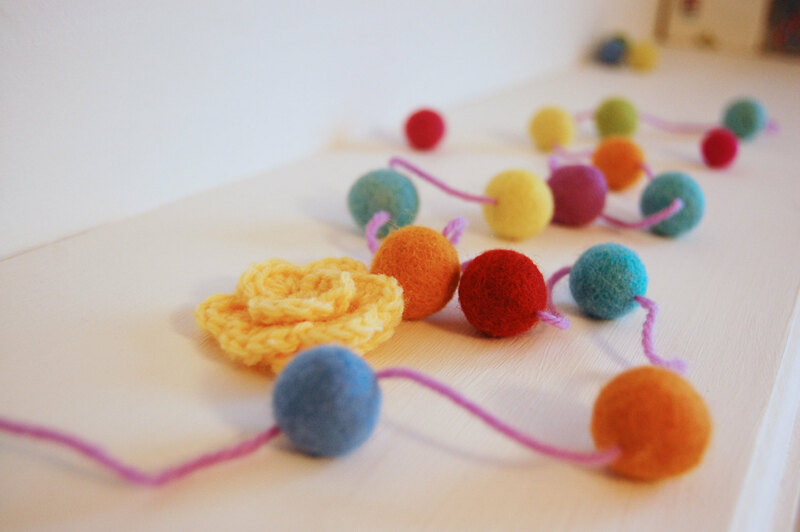 Felt ball garlands are perfect when made this time of year. They look absolutely beautiful draped over a Christmas tree or hanging from a fireplace. I just can’t get enough of making them (in all colours and shapes and sizes!) I wrote a tutorial on how to make your very own here. 10. 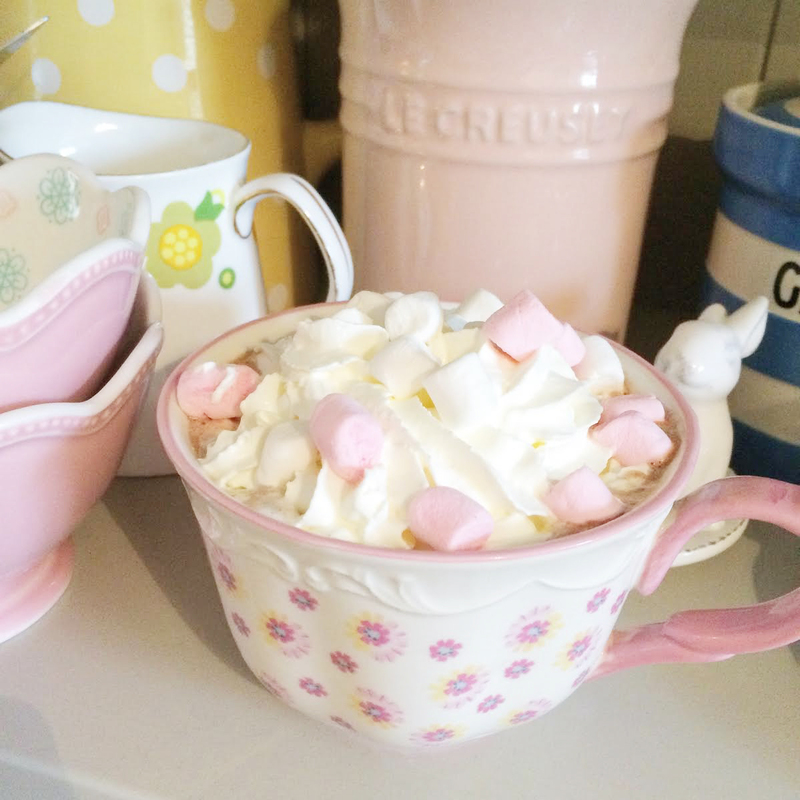 Any christmas crafting wouldn’t be complete without a large mug of hot chocolate, right? The cream and marshmellows are such a yummy addition. You should go and make one right this instant, you know you want to! Hello all! 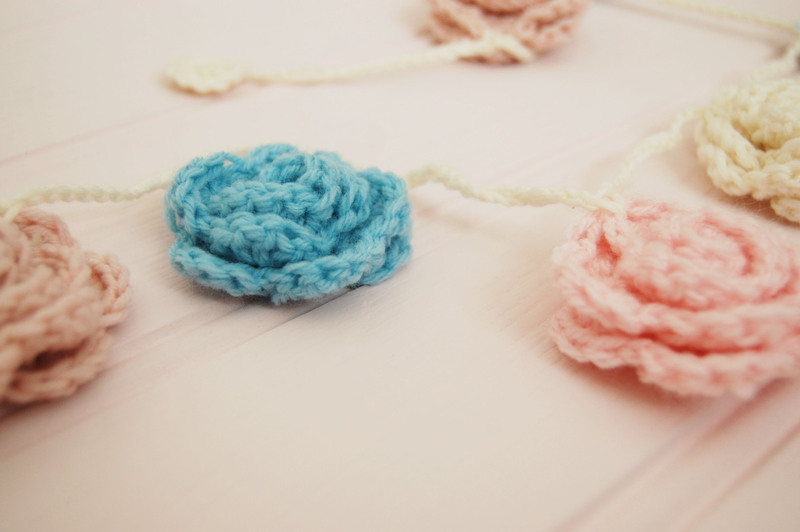 Do you remember my crochet rose cake toppers blog post which I posted earlier this week? Well, I still have the crocheted rose bug and haven’t stopped making them ever since. 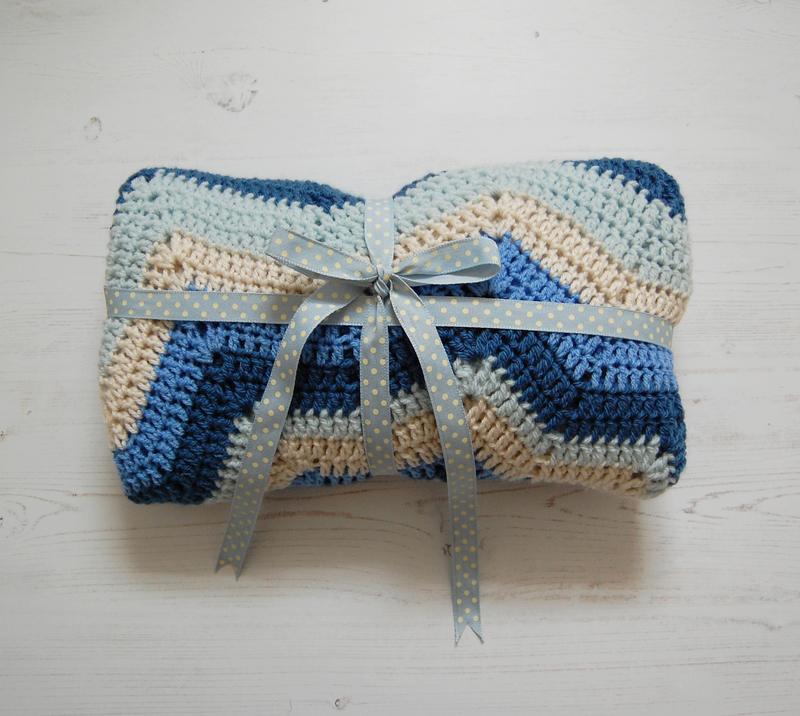 Have you experienced that feeling when you’ve crocheted something so many times, you’re able to memorise the pattern? Yes, that! If you’d like to take a peek at the pattern, you can follow the blog link above to the original post. I warn you though, it’s addictive! 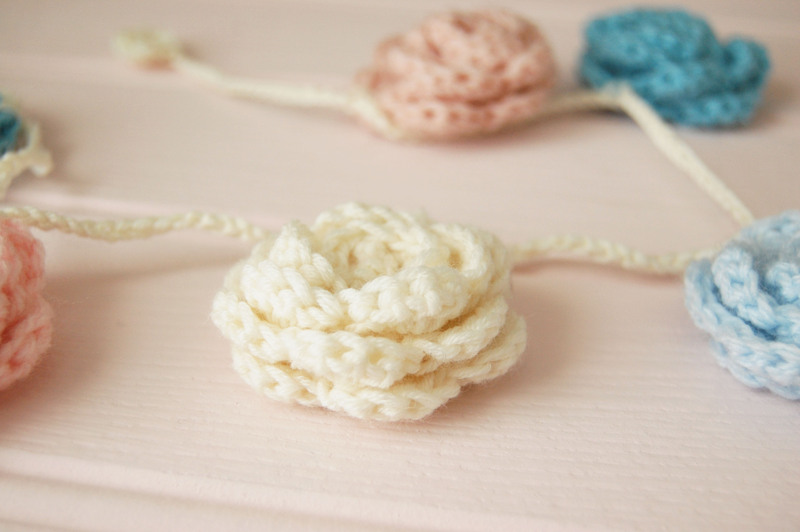 I’m very impressed at how versatile these crocheted roses are. If you’ve visited Paper Doily Party Shop you’ll know that I’ve made my fair share of garlands over recent months. I just love the fact that they can transform any space into something beautiful, particularly when used for a special occasion. I just had to share my recent creation with you. 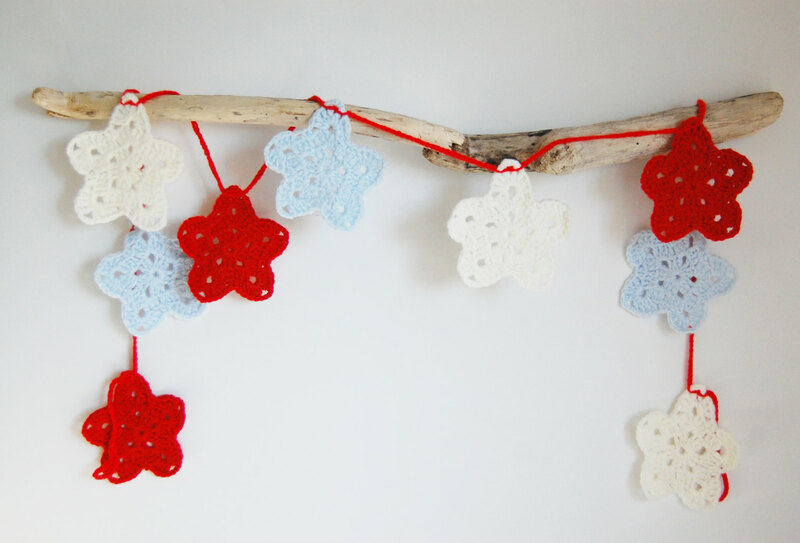 This particular garland was made for a special friend who wanted to brighten up her home. Obviously I couldn’t let it out of my workroom before taking some gorgeous photographs of it. What are your thoughts? Have I inspired you? Garlands are one of my favourite party decorations and I absolutely love making them. I’m definitely planning on making more. 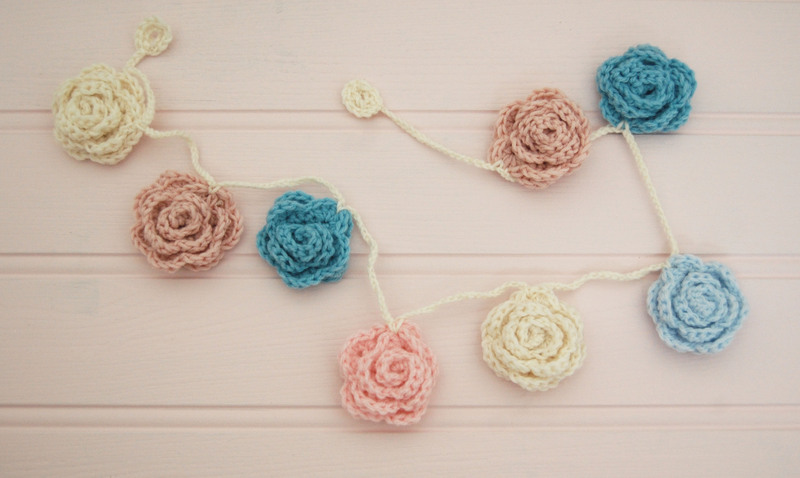 Would you be interested in seeing some DIY party garland blog posts? Do let me know if so, as it’ll be very enjoyable task. I hope you all have a wonderful weekend.